Methodone is an opioid and used as a prescription drug to curb withdrawal symptoms for heroin addicts. It is actually a synthetic version of heroin which mimics the effects that a heroin user experiences. What needs to be said at the outset is that methodone is a powerful drug. When a heroin user stops taking heroin and joins a legal methodone program they are not going ‘clean’. They are not going ‘cold turkey’. They have simply replaced one destructive substance for another. Michelle Payne, the jockey who won the Melbourne Cup, has tested positive to a banned substance. Racing Analytical Services confirmed the presence of Phentermine in her urine sample taken after a race meeting at Swan Hill. It is an appetite suppressant. Michelle will have to face Racing Victoria stewards. She has been stood down from riding and track work. 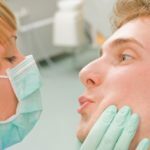 Drug Test Your Employees…Or Ignore It? 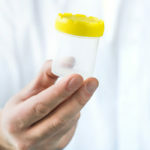 Does workplace drug testing cause more negativity than completely ignoring potential drug issues?! Which is worse? Wanting to make your business drug-safe and therefore requesting your employees to undergo drug testing…or not doing anything at all? Employers have a legal right to request that their employees consent to drug testing, but what happens to internal relationships and morale when workers object to being tested? Employers are accountable for providing duty of care to their staff. For this reason, it is obvious that they are keen to know that their environment is a safe one. Drug testing is a proven and effective means of determining this. Within 24 hours they can be aware of just how safe their office, factory, warehouse, retail showroom, machinery and vehicles really are. However, how does this impact workplace-relations when workers might feel maligned? Momentum Consulting Group Pty Ltd., the nationwide recruitment-labour force company, has announced the introduction of mandatory pre-employment drug and alcohol testing. 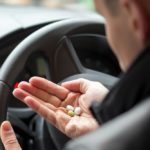 “Some companies have required drug testing before hiring new personnel but by no means is this common place across Australia. Momentum Consulting has become the first member of our industry to take a stand and make it mandatory”, announced Managing Director John Patrick. A hearty thanks to noted industrial writer Alan Johnson for his article on drug use in manufacturing which appeared in Manufacturers Monthly. Alan correctly captured the seriousness of the issue of drugs in the work force. As he said, manufacturers who think drugs or alcohol are not an issue are just fooling themselves. Australia loses $6 billion a year in lost productivity because of drugs and alcohol. It’s fair to say that it is robbing companies of their profits. Alan reported that 2.5 per cent of the work go to work under the influence of illicit drugs (according to the National Centre for Education and Training on Addiction) and amphetamine usage is 4 per cent higher for employees in the manufacturing industry than the total workforce average. This gets worse when you look at Ice (methamphetamine) use. Employees who reported using Ice in the last 12 months was 17 per cent higher for workers in the manufacturing industry. Research shows that drug usage is more prevalent for workers aged between 18 and 29 years of age, with male workers in the manufacturing industry more predominant users at 4.8 per cent as opposed to 3 per cent of female workers. The Ai Group has admitted that drug and alcohol use in the workplace is a problem that is not going away. Does Australia have a drug problem? Drug-Safe Communities decided to note major drug related articles in our nation’s media during the month of April. Something that we intend to continue into the future. If you thought that the number of drug related stories is on the rise…you’re right! Drugs are affecting all parts of society. Sports, families, celebrities, the business world. And every story is a reminder that Australia so desperately needs our passionate, dedicated Drug-Safe Communities team…totally committed to making each community drug-safe…one life at a time. Many employers face the moral dilemma of implementing a mandatory drug testing in the workplace. Business owners say they prefer to hire staff members who do not use illegal drugs, but employees regularly argue that workplace drug testing violates their right to privacy. There are clear pros and cons of workplace drug testing. For one, it lets managers ensure their staff are not using illegal drugs on the job or during their time off. But most business owners shy away from testing their employees for drugs because doing so would incur a considerable cost for the company. Both sides present valid points, so it is important for managers to research thoroughly before deciding to circulate any drug testing announcements in the office memo.